The Big Sell 30 Day Challenge continues! We’re inviting everyone to join us and attempt to experience something new in pop culture once a day for 30 days. To help you out, we’ll tweet out and post suggestions here on our website. But in order to come up with 30 days worth of new pop culture, we’re getting a little help from our friends. Today, Claudia Castillo, the co-host of The Long Distance Popcast, joins us to share her Big Sell- musician Todd Wicks Dream Cruise. Listen to this episode of Inside Pop to hear Claudia’s full Big Sell. And you’ll also hear her co-host, Matt McKee’s Day One Big Sell, the Netflix series, Peaky Blinders. Matt is using this show to fill the big space left until Game of Thrones returns. We’d love to hear your #BigSell30 suggestions! Leave a comment here or tweet us @popinsiders. And also make sure to tell us how your #BigSell30 Challenge is going! It’s Day One of the Big Sell 30 Day Challenge! #BigSell30 here we go! Thanks for joining us as we invite everyone to experience one new piece of pop culture every day for 30 days. If you’re looking for suggestions this is the place to be! Every day we’ll have a Big Sell recommendation for you here on the site. Our first Big Sell comes from Matt McKee of The Long Distance Popcast. 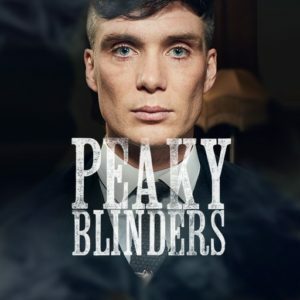 His Big Sell is the Netflix series Peaky Blinders starring Cillian Murphy, Sam Neill and Tom Hardy. This show has been around for 3 seasons, but may have been overshadowed by higher profile Netflix series like Orange is the New Black, House of Cards, Stranger Things and Marvel’s Luke Cage. Listen to hear LDP co-host Matt McKee explain why this show is worth checking out! And tomorrow on Day 2 – we will feature LDP co-host Claudia Castillo’s Big Sell. We’re off and running! Remember to tweet YOUR Big Sell suggestions to us @PopInsiders and let us know how your #BigSell30 experience is going!